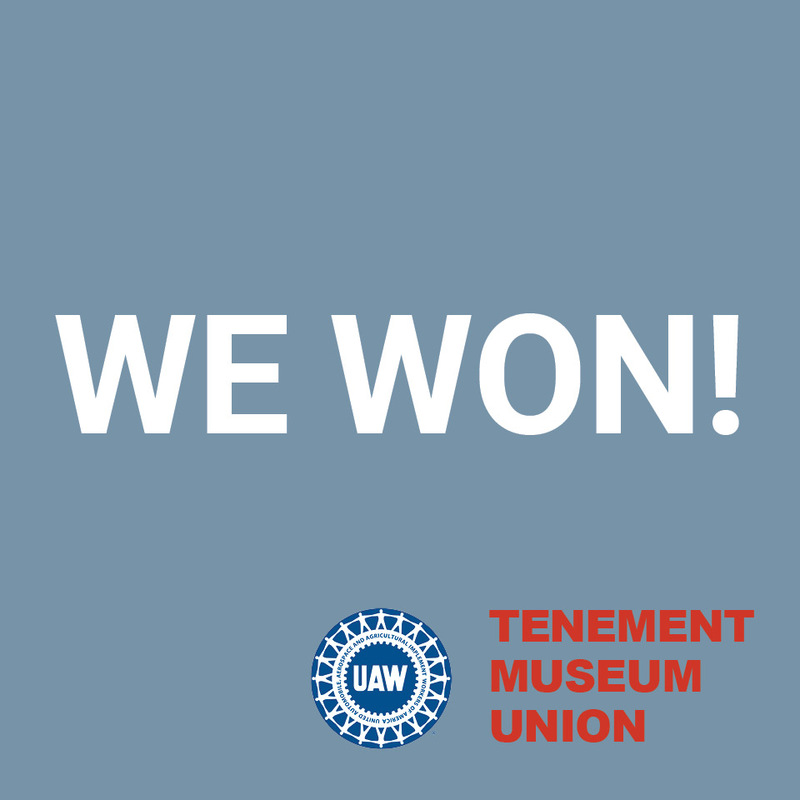 Yesterday, front-facing staff at the Tenement Museum, who include employees in the education, retail, and visitor services departments, voted 72-3 (96%) in favor of a union. The Tenement Museum joins the Bronx Museum of the Arts, Museum of Modern Art, the New Museum, and New-York Historical Society as part of UAW (United Auto Workers) Local 2110. The Tenement is the second New York City museum to have a successful union campaign in 2019, the first being the New Museum this January. In a previous post, “Is it subversive for museum employees to unionize?” Marabou discussed the New Museum’s union push. Marabou congratulates the Tenement Museum employees who are new members of UAW Local 2110! Hopefully the Tenement’s and New Museum’s successful union campaigns will encourage other museum workers who have been considering unionization.